Lyndon Rive was your average Silicon Valley tycoon, a tech entrepreneur who had founded and sold his first company at an age when most of us are still struggling with their first jobs. But then he got married and had a child, and began thinking of ways to give back. "I wanted to do something with more impact and inspiration," says Rive. Like many of his peers in the Valley, alternative energy was the answer. Together with his brother Peter, Rive founded the commercial and residential solar installation company Solarcity in 2006, and in just a handful of years, the start-up has become one of the biggest solar-system installers in the biggest solar market in the U.S.: California. Solarcity provides warranties guaranteeing the performance of its solar modules, and offers remote monitoring to keep its systems humming. One of the biggest added benefits of Solarcity and other solar installers is the green jobs the industry creates. 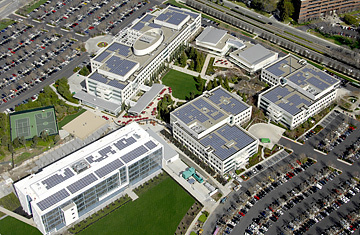 Rive expects Solarcity to grow to over 1,000 employees within the next three years. "These are greencollar jobs," he says. "We're building up an industry."